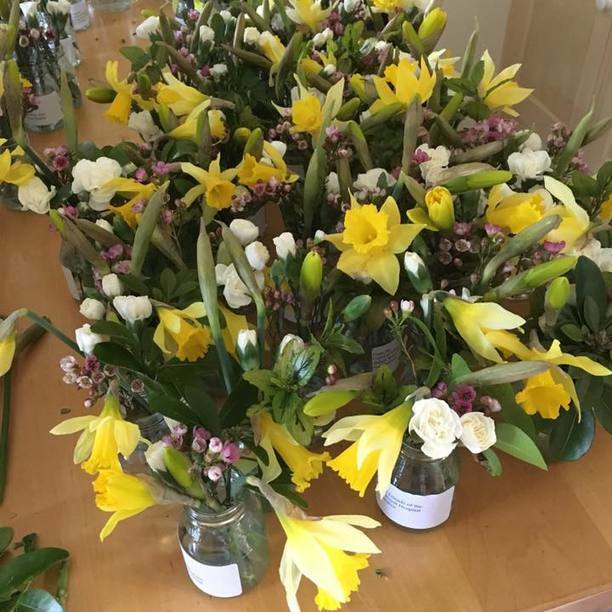 Each year committee members meet up just before Mothering Sunday to make up 150 posies of Spring flowers in small glass bottles. 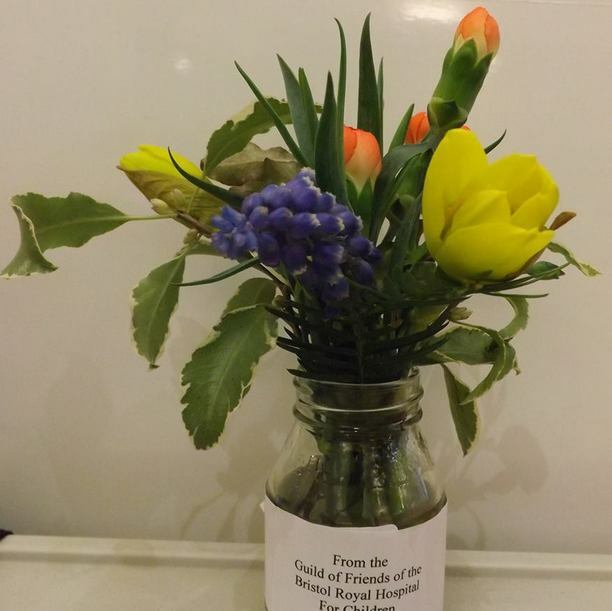 They are delivered to the hospital and handed out by the children who are patients in the hospital to their mothers. Every year we get enormously positive feedback from mothers and the hospital staff. 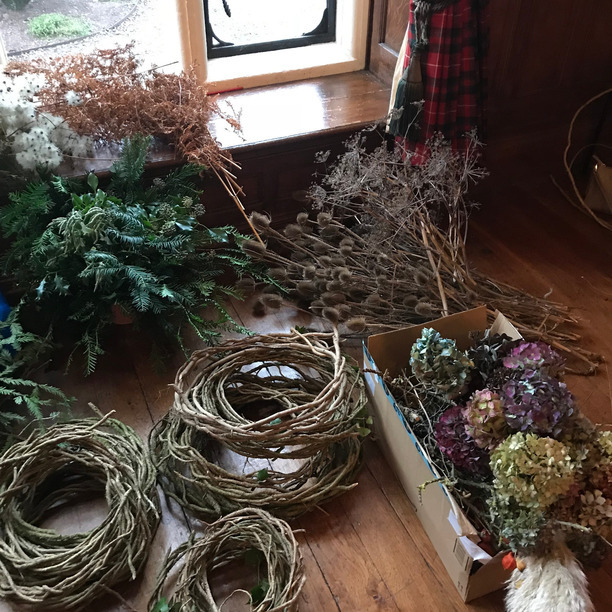 The Mendip Christmas Fair is a very successful annual event. 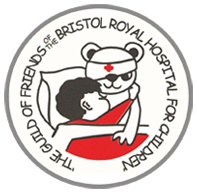 All profits raised go to support the Guild of Friends and the Children’s Hospice South-West. The Fair is run by the Mendip Fair Committee. 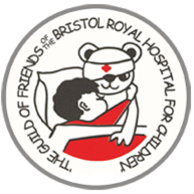 The Guild has been a joint beneficiary of the funds raised for many years and we are enormously appreciative of their support. 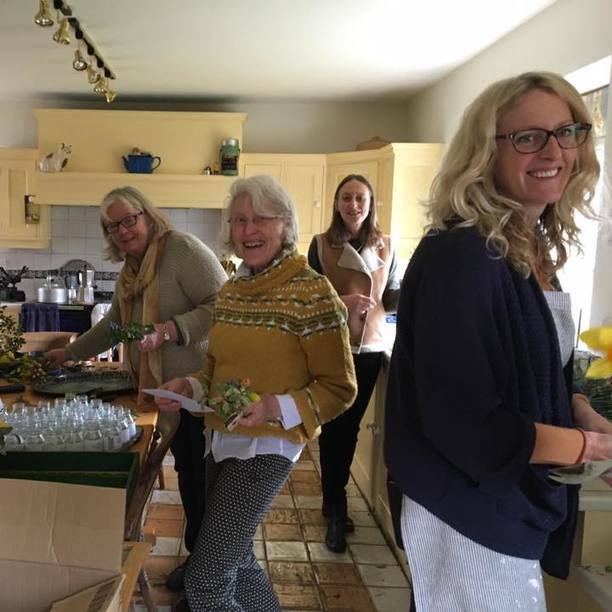 Some members of the Guild committee are also on the Fair planning committee and we all help out in many ways at this event. 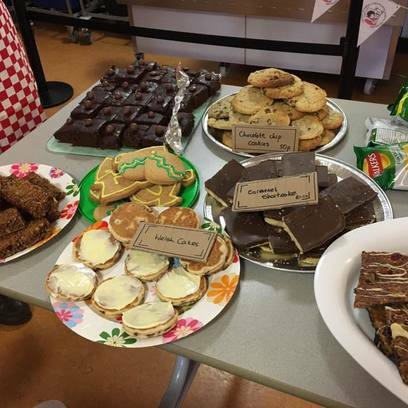 There a many wonderful stalls and delicious lunches and teas. 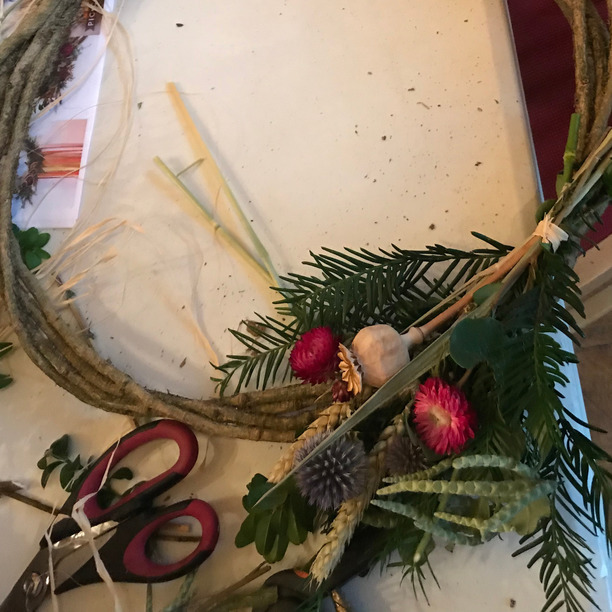 The 2018 Fair was a great success. We would like to thank all involved in the organisation of this event for their hard work and for the most generous donation we have received. 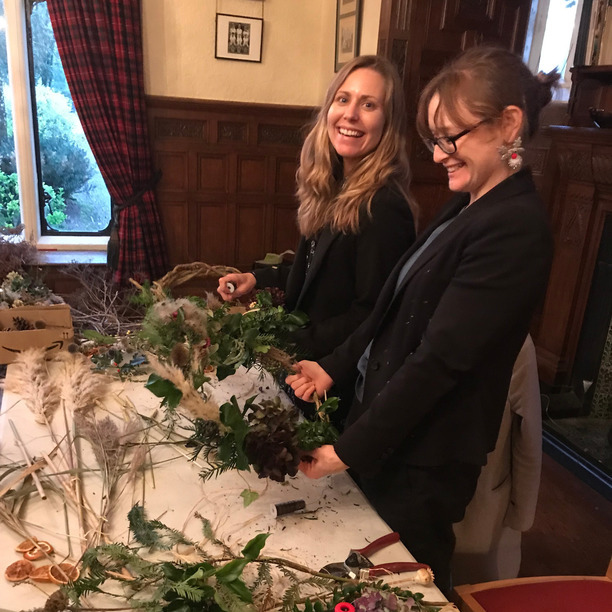 This year’s workshop was run by Esme Hunton and was held at the Downs School by kind permission of the Headmaster, Mr. Marcus Gunn. 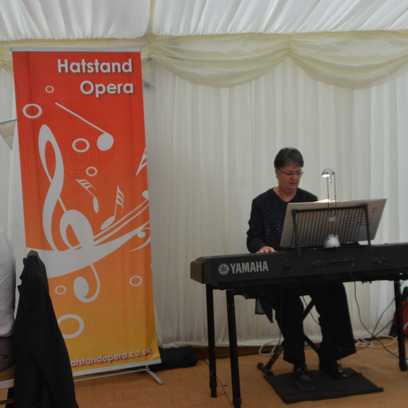 On Sunday 1st July we celebrated our 70th anniversary with a summer supper and entertainment by Hatstand Opera company. 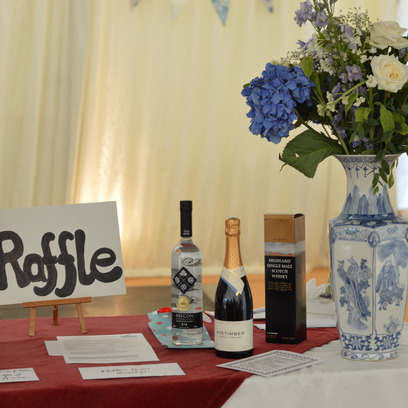 We were lucky enough to have been donated a marquee in which to hold the event. It was set in a garden overlooking the beautiful North Somerset countryside. 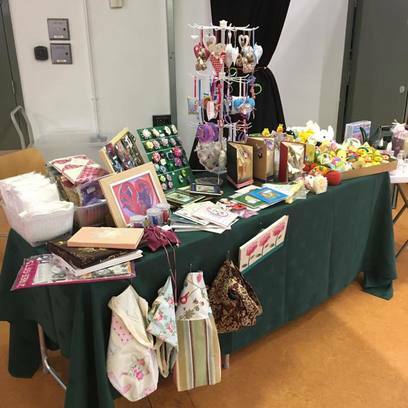 We organised a big Tabletop Sale which took place at Redland Green School last year and we were delighted to have 40 truly excellent stalls sign up. 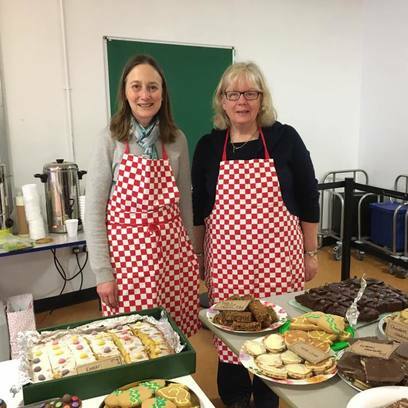 The very successful tea and cake stall run by committee members raised £200 on its own! Willie John McBride and David Duckham, previous rugby international stars, came to talk at our very successful Sportsman’s Dinner held at Bristol Grammar School. 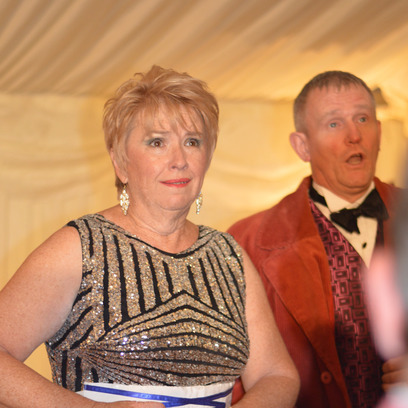 300 people attended and the event raised £20,000.